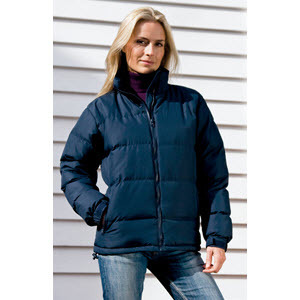 Down feel light weight warm winter jacket. Front storm flap with torm closing cuffs, 2 side pockets. Water repellent.